Pinterest is introducing a new take on its promoted video ad unit with new max width video advertisements that expand the entire width of the screen. The first version of Pinterest’s promoted videos were introduced two years ago, during which time the company says the ad units have proven to be successful at influencing purchase decisions. Max width promoted videos span wider than Pinterest’s standard format in feeds and in search results on mobile, making them stand out more than other videos. The format is available in both 16:9 and 1:1 aspect ratios. Building upon the promoted video format makes sense for Pinterest, as the company says people are more interested in seeing videos from brands on Pinterest compared to other platforms. 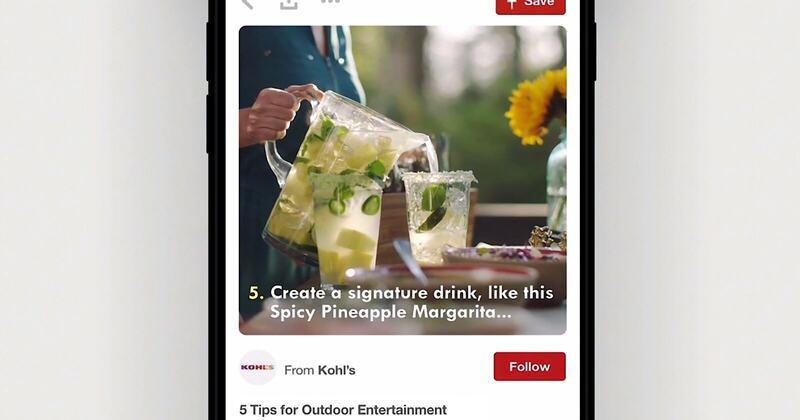 Pinterest is currently testing max width video ads with a handful of advertisers the summer. They will be available in Pinterest’s ads manager, alongside the standard format, later this year.